Last chance to book your Disney Cruise for a lower deposit! Book a cruise that is 4-nights or longer, departing between June 22, 2019 and May 30, 2020, and you will pay only half the normal required deposit, with the remaining due at the time of final payment. This offer is only good until February 15. If you’ve been considering an Alaska cruise, but the unique itinerary and ports seems overwhelming, look no further. Tammy has the top 10 do’s and don’ts you need to know when cruising to the last frontier to make sure you have the best time possible! 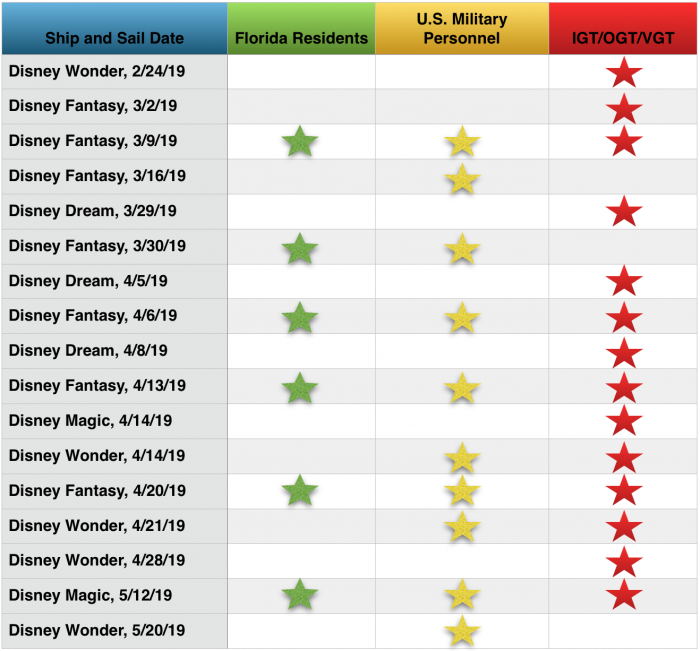 ICYMI, Marvel Day at Sea and Star Wars Day at Sea dates have been released for 2020 sailings. Read all about them here. Valentine’s Day is just a few days away! If you are sailing with your sweetheart, why limit the celebrating to just one day? There’s plenty of things to do on your cruise together. Some things will take either some advanced planning and/or extra fees, but are sure to make your other half swoon. How about a nice romantic dinner? Remy is the height of luxurious dining and superior service on the Dream and Fantasy. Across the fleet, Palo offers a lovely dinner option – if it’s a particularly great night for weather, you can opt to dine al fresco at Palo to fully take in the sunset and the sea. If you’re looking to relax together, try a couples spa treatment. Options range from traditional couples massages on board to private massage cabanas on Castaway Cay. For the ultimate spa pampering, you can reserve a Spa Villa on board at Senses. Along with your couples treatment, you also get time to enjoy the private verandah and whirlpool. Don’t forget to add on the champagne and strawberries option! 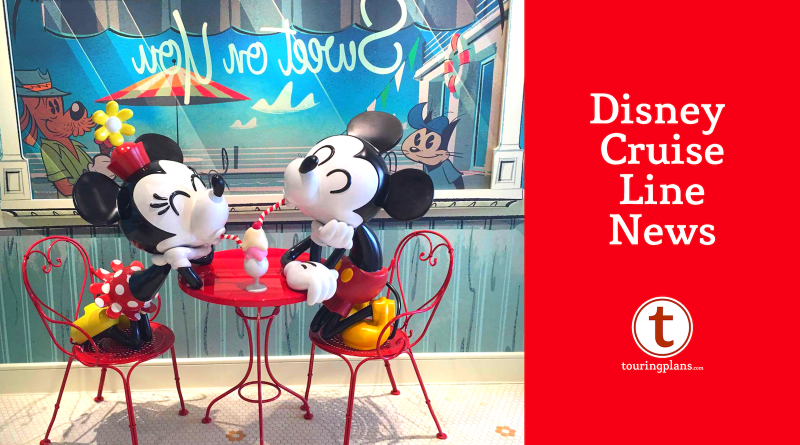 Maybe your sweetheart has a sweet tooth – if you are sailing on the Dream or Fantasy, order a sundae for two from Vanellope’s or Sweet on You (as pictured in this week’s cover, photo credit to Scott Sanders) to share. Or, surprise your better half with a custom cake delivered to dinner one night (and don’t worry, your leftovers can go back to your stateroom with you). Don’t discount the small moments together! Request a private table in the main dining rooms. Enjoy a cocktail and live music in one of the lounges at night. Take an early morning walk on deck 4 and watch the sunrise. No matter what you do, there’s no better place to be together than at sea!